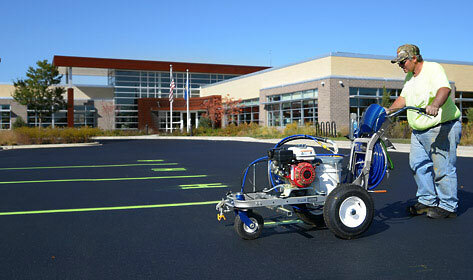 Our services extend beyond installing asphalt. We can help you repair and maintain your pavement to protect your investment for years to come. Our services are available throughout southeastern Wisconsin. Click here to see a list of cities and counties Merit Asphalt services. Clearly marked stalls, handicap spaces, and directional arrows are essential to your paving project. Our full array of striping services ensures your parking lot is clearly marked for total safety. Car stops protect structures and landscape from vehicle damage and encourage drivers to pull forward into a parking space. Speed bumps are an outstanding way to slow down motorists and make your parking lot safe. 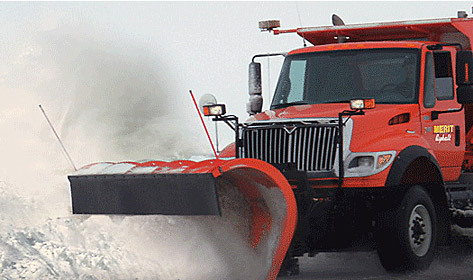 They can be customized to make them functional and easy on a snow plow. They can also be striped for visibility. Pulverize existing asphalt and use it as base material for new pavement. It's a cost-effective way to recycle existing asphalt. Grinds the asphalt to a specific depth, then repaves the area. 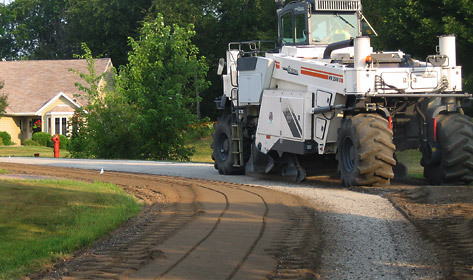 Milling can be used to improve drainage flow and correct pavement irregularities. Roof runoff and subsurface drainage solutions. With over 30 years of experience, our management team delivers unparalleled service during inclement weather. Our state-of-the-art equipment is available to serve you 24 hours a day to keep your property safe.